“By the time I was five, I was very much aware of what was going on. I knew I needed to be strong: couldn’t sulk, couldn’t feel sorry for myself. I just had to deal with it.” That’s Ngaiire, talking about adrenal cancer, with which she was diagnosed at age 3. Called Blastoma, it is also the name of her second album, which explores the shocking impact and threat on her young life. “Cancer left its physical and emotional mark. I’ve got a massive scar across my stomach. I got teased a lot at school, for having no hair, and for being smaller than the other kids. The treatment stunted my growth,” she told The Guardian. Born in Papua New Guinea, Ngaiire’s beginnings are as dramatic as her extraordinary music. She moved to New Zealand when she was barely a few months old, which was where she began her battle with cancer. It was six-years before she got the all clear, which was after the family had returned to their homeland. Music became a profession following the families 2002 relocation to Lismore. She studied a Bachelor of Jazz in Mackay, her incredible voice quickly landing her on Australian Idol. The 2013 Lamentations, her first solo album, with its dynamic cover of Tame Impala, was well received and before too long she had an invitation to perform at Glastonbury with the likes of John Legend and Alicia Keys. But Blastoma, Ngaiire’s most ambitious project to date, is taking her career to a whole new level. 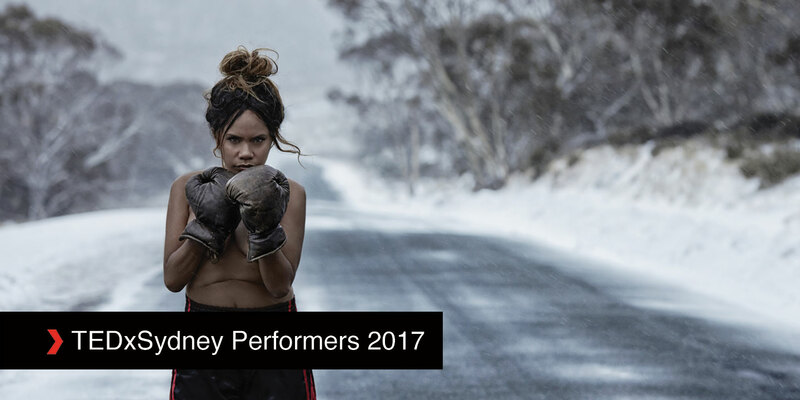 Book now to see Ngaiire at TEDxSydney on Friday 16 June 2017.